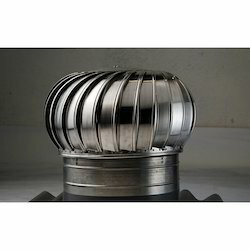 Prominent & Leading Manufacturer from Pune, we offer turbo ventilator, turbo air ventilators, stainless steel turbo ventilator, turbo air ventilator, stainless steel wind turbine ventilator and turbo wind ventilator. 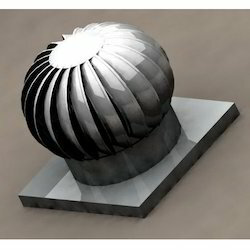 Owing to a long-term destination for our business, we are engaged in offering a wide gamut of Turbo Ventilator. 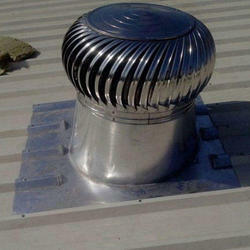 Stainless Steel Turbo Ventilator is manufactured based on computer aided designed which provides optimum air ventilation. These Turbo Air Ventilator are very light weight, high corrosion resistant, maintenance free, energy saving and provides efficient operation vent in a breeze of wind. Turbo Air Ventilator is designed in 24 inches fitted with ball bearing stainless steel shaft to provide almost zero noise operation. The Teflon self-lubricated impregnated bearing gives a smooth rotation and maintenance free long life.
. Turbo Air Ventilators Drove, They Are Used Common Because Of Their Zero Running Cost and High Capacity Per Cent and Overall Reliability. These Air Ventilators Are Pressure Resistant, Need Less Maintenance And Specifically Developed To Meet Various Demands Of Industries. 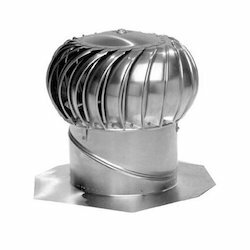 Our organization has successfully expanded its business in market owing to the offered elevated quality array of Stainless Steel Wind Turbine Ventilator. 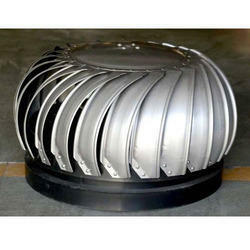 We are offering Turbo Wind Ventilator to our client. 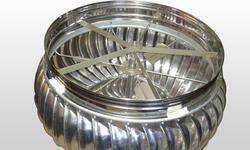 Looking for Turbo Ventilator ?